This is the classic itinerary which delivers everything you want: the huge tabular icebergs, hillsides covered with gentoo, Adelie or chinstrap penguins, whales and abundant marine life, a passage through the famed Lemaire Channel between towering blue bergs, and more. 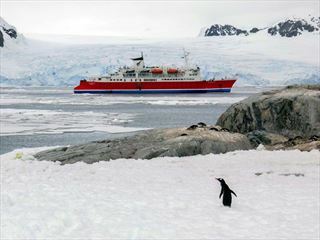 On this Antarctica cruise, the sights, sounds and emotions will stay in your mind forever! On arrival in Buenos Aires you will be received by one of our representatives, who will take you to the chosen hotel and will help you with the check-in procedures. Today, you will depart on a guided tour to the most important places in Capital Federal. The Half day City Tour includes the National Congress, the Metropolitan Cathedral, the Government House and the Plaza de Mayo area. You will be at the heart of the Tango activity where this sensuous dance is performed on the streets for the passers- by so as to make them enjoy the traditional neighborhood of San Telmo. Then, you will visit the colorful suburb called La Boca which was adopted by the first Italian immigrants as their home, years ago. Today, it is the residence of important artists. The trip continues to Palermo, which is a residential area with parks and elegant buildings. Finally, you will visit the sophisticated Recoleta, one of the most exclusive neighborhoods in which among other attractions, you can take a look around the famous cemetery, some fine restaurants and cafes. At the scheduled time you will be taken to the airport to take your flight. On arrival in Ushuaia you will be received by one of our representatives, who will take you to the chosen hotel and will help you with the check-in procedures. Overnight in Ushuaia. We will sail directly to “High Antarctica”, passing the Melchior islands and the Schollaert Channel between Brabant and Anvers Island. On Cuverville Island, a small precipitous island, nestled between the mountains of the Antarctic Peninsula and Danco Island, we will find a large colony of Gentoo Penguins and breeding pairs of Brown Skuas. If we land on Danco Island we can observe Chinstrap Penguins and possibly Weddell and Crabeater Seals. In Neko Harbour we will have the opportunity to set foot on the Antarctic Continent in a magnificent landscape of huge glacier and enjoy the landscape during zodiac cruises. 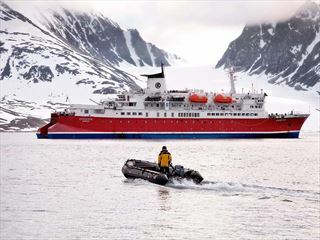 When sailing to Paradise Bay, with its myriad icebergs and deep cut fjords, we will have the opportunity for zodiac cruising between the icebergs in the inner parts of the fjords. In this area we have good chances to see Humpback Whales and Minke Whales. After sailing through the Neumayer Channel, we hope to get permission to visit the British research station and post office Port Lockroy on Goudier Island. 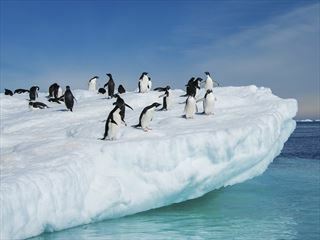 Close to Port Lockroy we may also offer a landing on Jougla Point with Gentoo Penguins and Imperial Shags.